We got started at 9:00AM this morning. 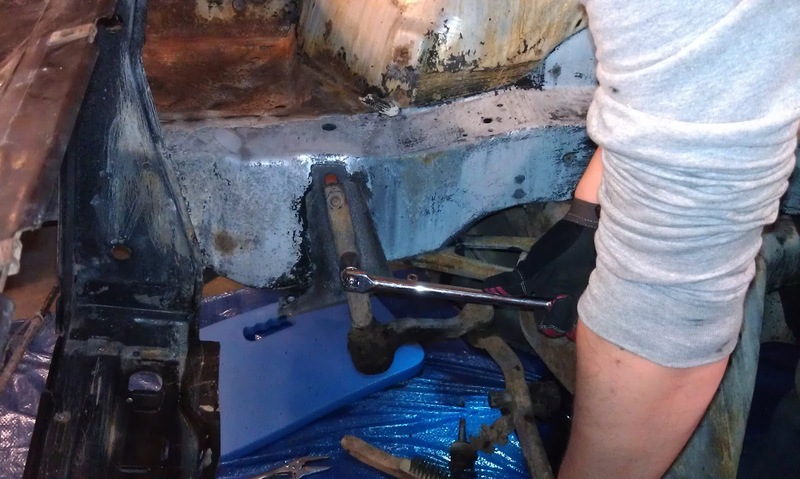 Jonathan decided he wanted to try to remove the tie rods and the rest of the steering linkage. 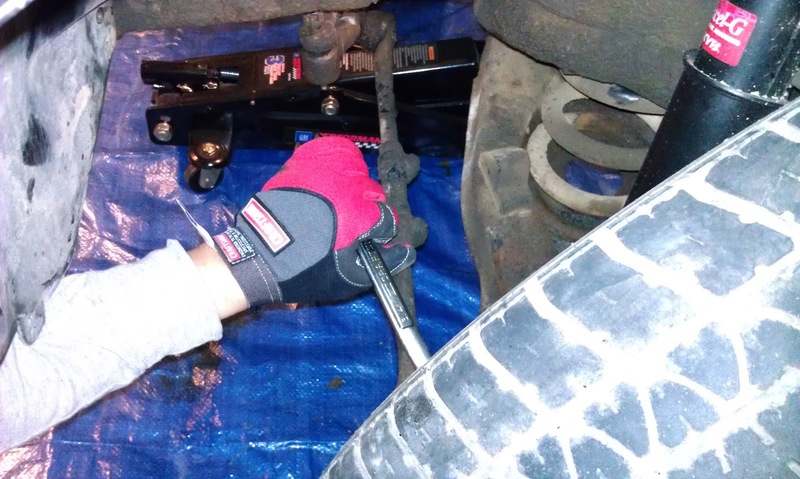 He saw online that you can use the Pitman puller to separate the ball joints. This sounded like a better idea than what we were doing before, so we gave it a try. Jonathan first had to remove the cotter pin and the retaining nut. They were very dirty, so he had to do a lot of scrubbing with the wire brush to even see what he was working with. 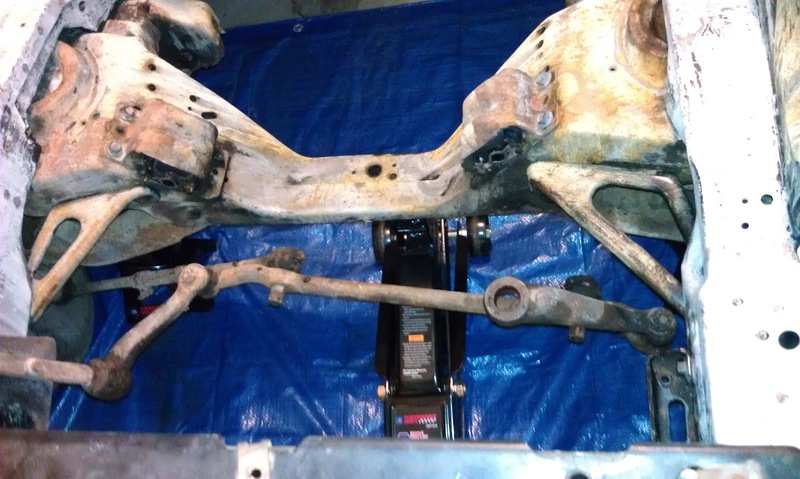 It is now only attached to the passenger side and idler arm bracket. This one was even worse than the other side. Jonathan scrubbed it with the steel brush and then coated it with WD-40. It took a lot of work to get this side disconnected. The cotter pin broke into several pieces and Jonathan had to pull the pieces out with a vise grips. Then there was nothing to pry against when Jonathan was trying to get the retaining nut loose and the wheel kept turning if I did not hold it. We did eventually get it loose and then it popped off just as easy as the other side. 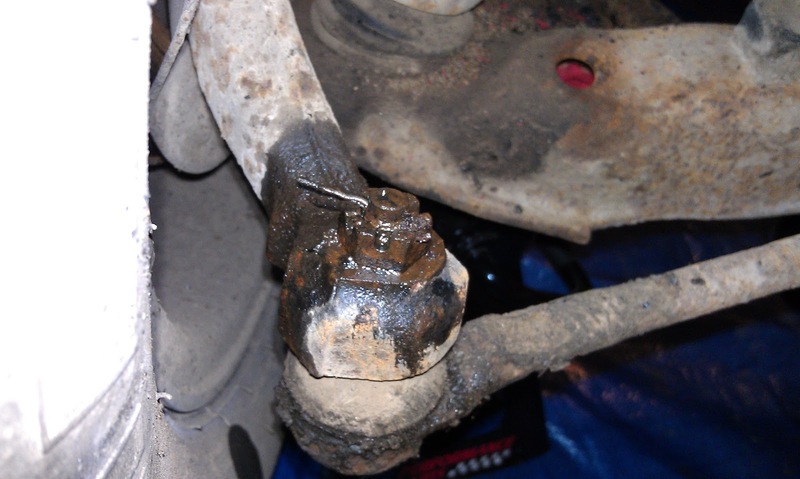 The only thing left holding the steering linkage up now is the idler arm bracket. 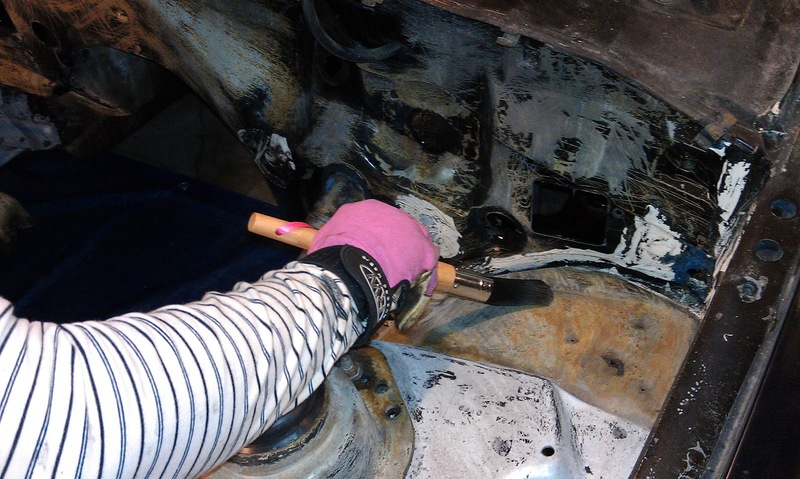 This is a picture of Jonathan working on the idler arm bracket bolts. 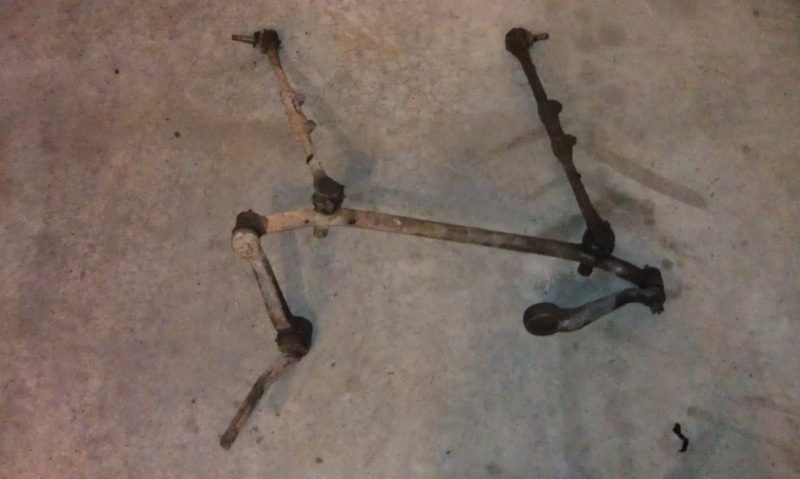 Jonathan got the steering linkage loose and handed it to me through the top of the engine bay. 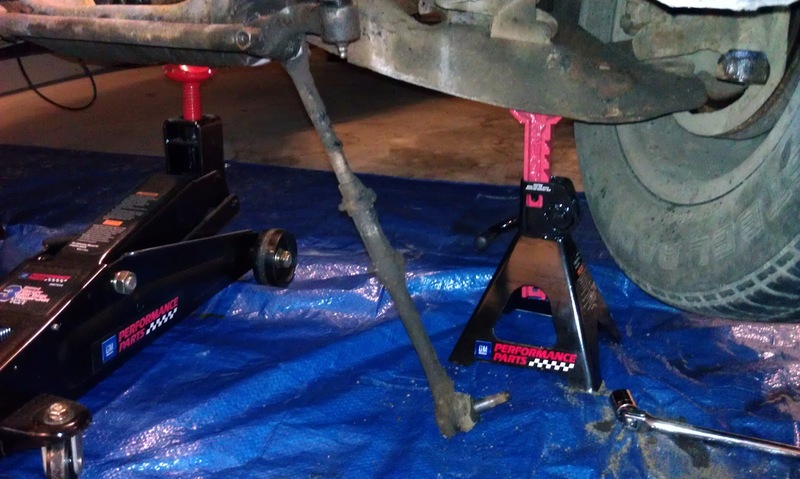 I moved it over to where the sway bar is sitting in the garage. It was heavy, too. 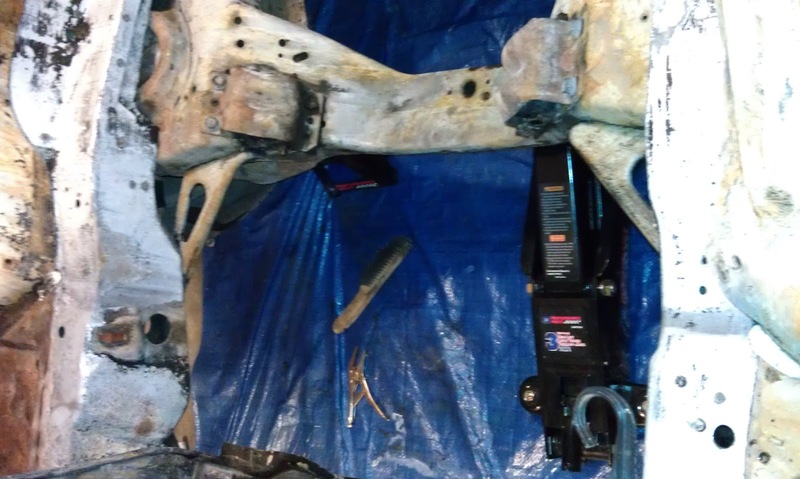 We next removed the steering gear bracket. The engine bay is now officially empty! Cheers! 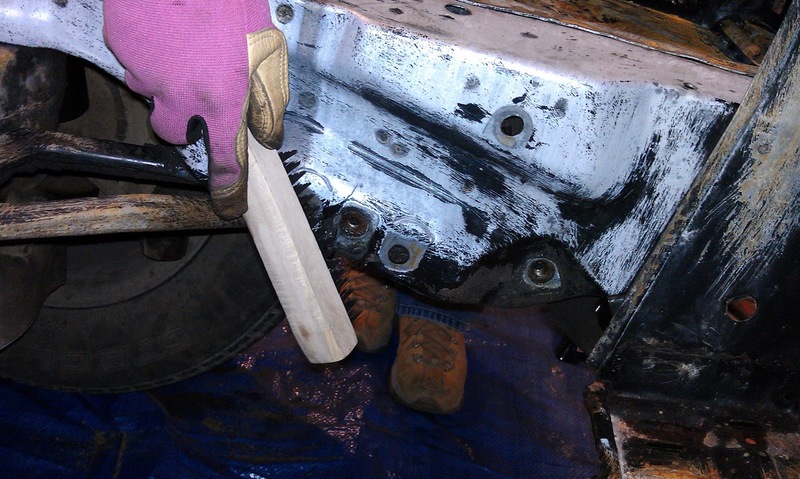 Here is a picture of me scrubbing the area where the steering gear bracket was with my new steel brush. 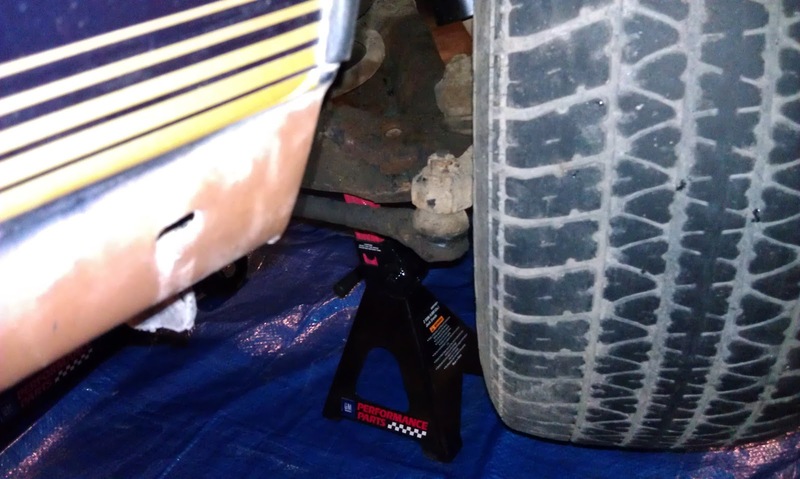 I did the same thing for the area where the idler arm bracket was. 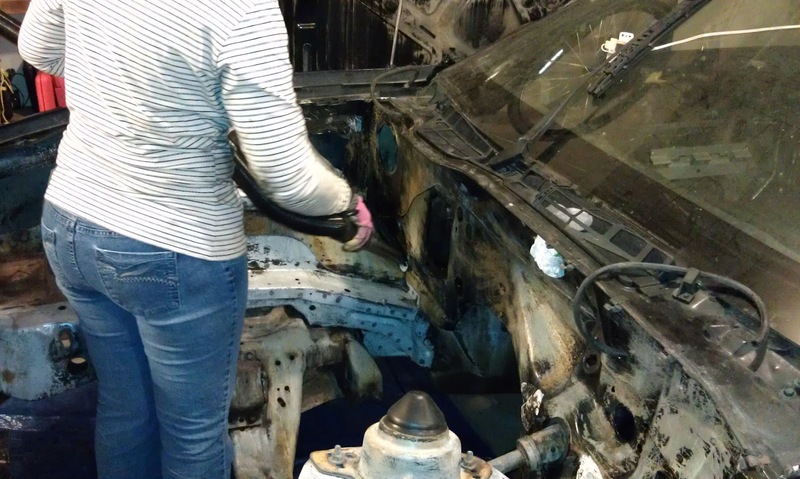 Then I scrubbed everything in the engine bay we plan to POR-15 with the steel brush to loosen any leftover paint. You can see my POR-15 shoes in this picture. They are really getting gross. When we are finally finished with the POR-15 I am going to trash these shoes. 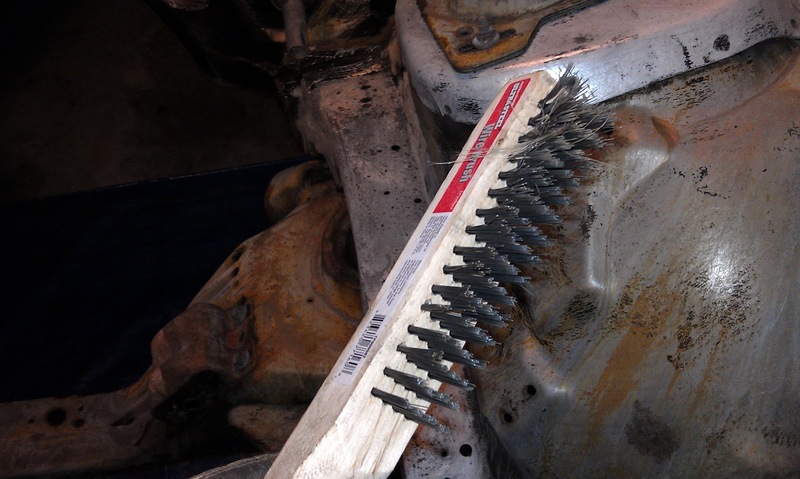 My poor brand new steel brush. I went over everything with my parts brush next. Have you noticed my parts brush has a pretty pink ribbon on the end? I picked it out myself. Here I am vacuuming up all the loose dirt. 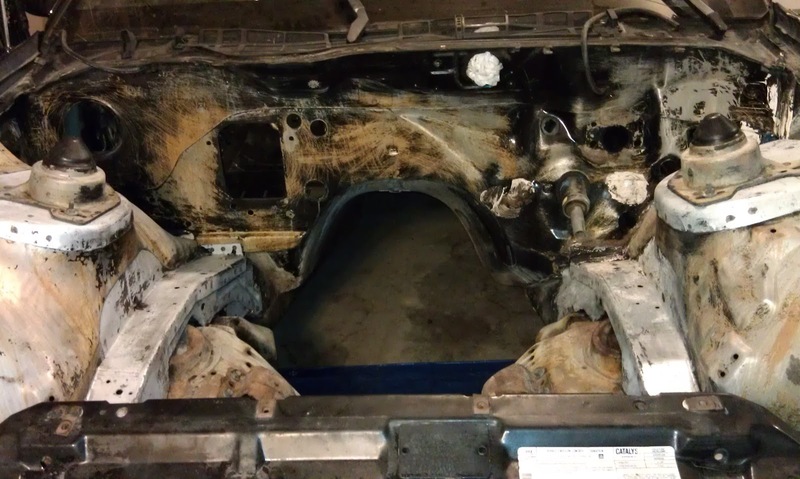 The engine bay is ready to be painted with POR-15. We are stopping for lunch. 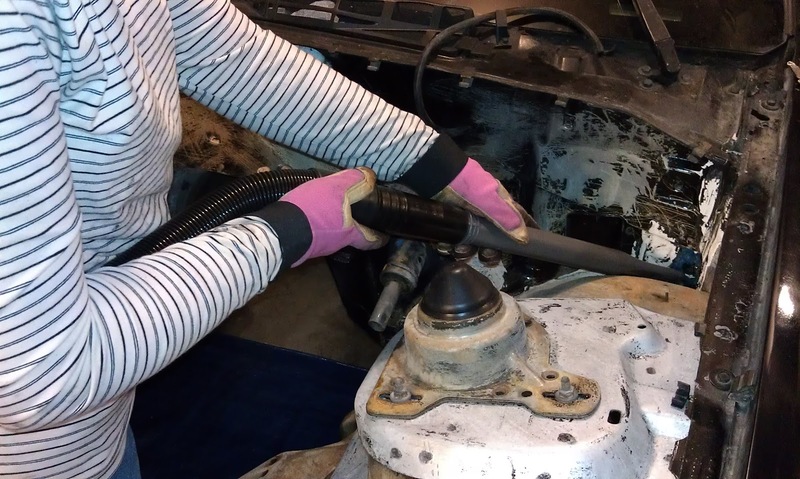 It is so nice and cool outside again today - just perfect weather to be working on the car!